Take a pause in your day to immerse yourself in an improvised soundscape featuring instruments such as the Turkish Oud, cello, zils, didgeridoo, auto-harp, flutes, and more. Musicians include Jesse Manno, Michael Stanwood, Brett Bowen, Jenna Woods, Dexter Payne, James Hoskins and Victor Mestas. 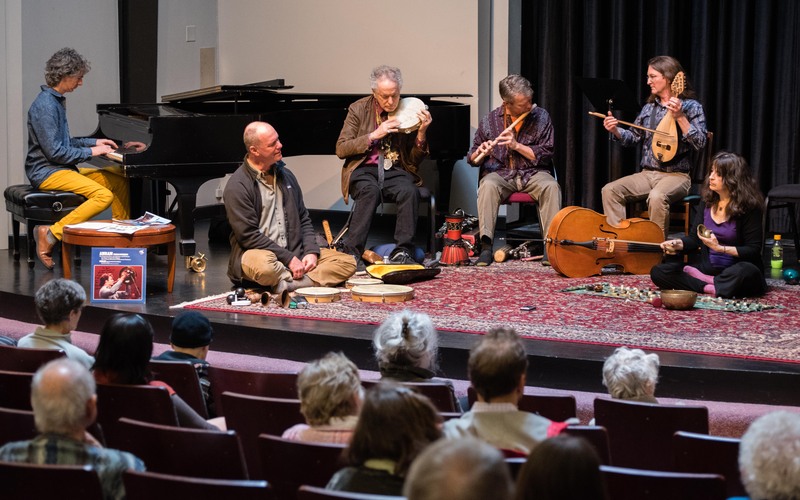 Midday Music occurs every 2nd Wednesday of the month--thanks to the generous support of the Library Foundation and the George Lichter Family Fund.